Once upon a time SMBs utilized technology to fuel efficiency and reduce costs. But, in today’s oil & gas industry, simply being efficient is no longer sufficient. Now, computer technology is used to stimulate innovation and push SMBs beyond their competition. In light of amazing advances in cloud computing during the past 5 years, managers across the oil gas arena increasingly choose cloud-hosted oil gas applications and private virtual server hosting over the historically conventional desktop software approach. And, many oil gas SMBs are seeing resultant increases in revenue as cloud computing enhances workflows and propels ideas faster throughout their organizations. Whether you look at Pandora and Spotify for music online, Netflix for movies online, or Dropbox for storage online, cloud computing is growing up fast, and if you need additional evidence of this just look at a recent announcement that Google has surpassed Microsoft’s market value. This would never have occurred if cloud computing wasn’t rapidly antiquating old localized desktop and office server computers. So What About Oil Gas Cloud Computing? The transition of oil gas office computing beyond the desktop is something that SMB oil gas industry players must anticipate. Oil gas SMBs can choose not to follow real estate’s lead and instead fight the digital, social and mobile revolution. However, even if oil gas SMBs choose that path, there is no doubt they will eventually be forced to follow real estate’s lead into the Cloud. In the SMB oil gas business, it’s critical to stay ahead of the technology curve. The business at all levels is acutely sensitive to cost efficiencies in production and distribution, so it’s paramount to produce energy at a minimum investment and a maximum return. 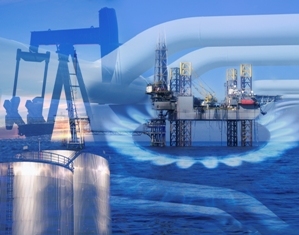 Some oil gas cloud computing issues are particularly relevant for the industry. Security. All SMB oil gas companies that use or will use cloud computing are rightly concerned with security. Depending on the type of oil gas cloud computing service obtained, expectations must be rightly tempered. Providers of oil gas cloud-based human resources applications know that data is sensitive and will offer robust security. Real Time Data. As in many industries within the current business environ, the oil gas business needs real time access to data. From upstream drilling initiatives to refinery product selections, oil gas SMBs critically rely on having information at the ready. So the convergence of oil gas cloud computing with various business divisions provides greater efficiency and a distinctly competitive edge in the marketplace. SMB oil gas cloud computing has the capacity to store huge amounts of data and oil gas companies can tap the information whenever required without the delays or latency that often reflect the shortcoming of desktop computer software. As an oil gas SMB grows, which constantly increases data and management system complexity, oil gas cloud computing is able to quickly adapt to the SMB’s changing requirement. The key to enabling optimal computing flexibility is virtualization. Oil gas cloud computing removes the limits inherent with a centralized office computer system at an oil gas SMB’s main office. With private virtual servers and cloud-based hosted applications and data storage, critical business decisions and time-critical work may be accomplished on an oil rig or in a conference room thousands of miles away. Cloud-based platforms have many advantages for oil gas SMBs over the traditional office desktop and server configuration. 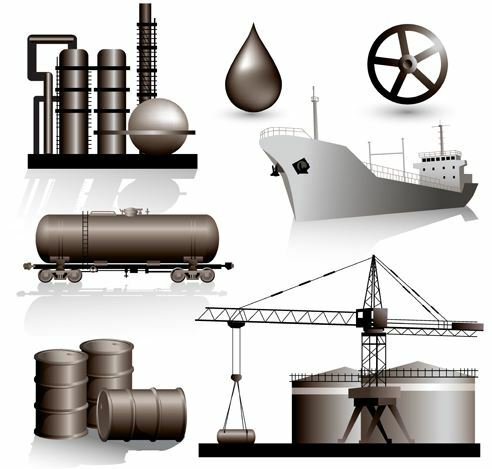 Oil gas cloud computing will inevitably enjoy greater flexibility and upgraded functionality. In addition to IT flexibility and real time information access, oil gas cloud computing platforms enhance workflows. Essentially, this means that employees can accomplish tasks more effectively while sharing and collaborating without the traditional holdups that often occur with software installed locally on individual computers. Not only are cloud platforms available for every facet of oil gas cloud computing, it can streamline even the most complex business function. Both today and in the future, cloud-based services are an oil SMB’s strategic business partner. Remember us, Cloud9 Real Time is the nation’s leader in providing SMB cloud computing solutions and won more industry awards in 2012 than all close competitors combined.